Divorce may be a norm in most countries over the world. But as far as India is concerned, divorce is still a big deal. It not only has an impact on the parents, but also their children. Children have a very sensitive mind and an even softer heart. Moreover, every child needs both the parents. However, many couples don’t realize the consequences of divorce and its effect on children. 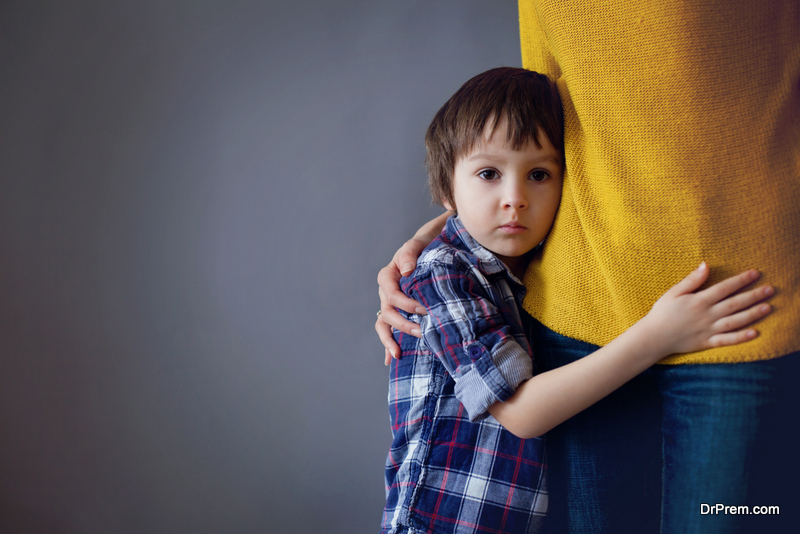 Kidsof divorced parents may start feeling frustrated and sad more often. Also, the trust factor disappears over a period of time.Their behavior and mindset are totally justified as their family no longer remains as close knit as it used to be. Here are certain effects of divorce and also a few parenting tips to help your child during a divorce. The first and foremost effect on the kids after the parents’ divorce is loss of confidence. 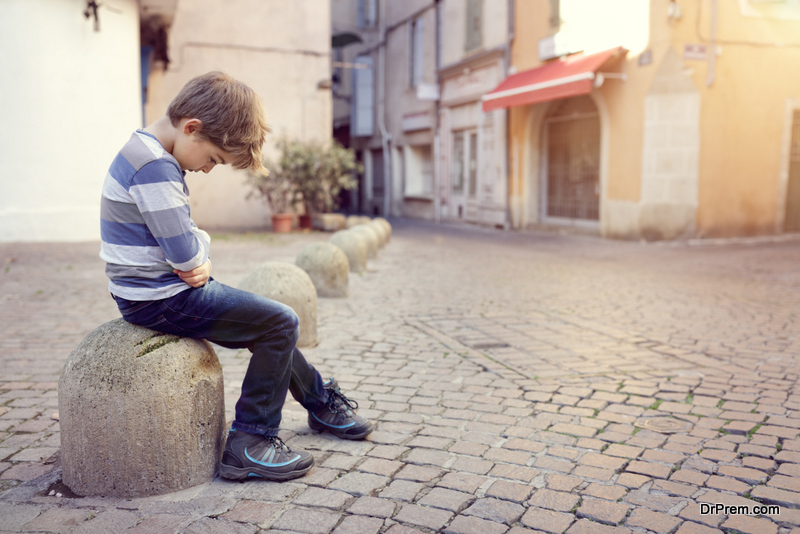 Such children tend to become anxious and nervous on a regular basis. Young children coming from broken homes are first affected by it. They totally rely on both the parents, and they find it difficult to choose any one of them. This diverts their mind from studies, and the feeling of neglect starts sinking in. Participation in extra activities, sports, and other cultural activities reduces to a great extent.Divorce and its effect on children with respect to anxiety and social awkwardness is highly underrated. Only people with the first-hand experience of this condition can empathize with the ones undergoing it. The next effect is irritation and mood swings. Many times, it so happens that after the divorce, children stop trusting their family members, relatives, and friends too. Theytend to shut off from the outside world. Children from divorced parents usually find it hard to express and accept their emotions. This leads to mood swings and irritability over petty issues. 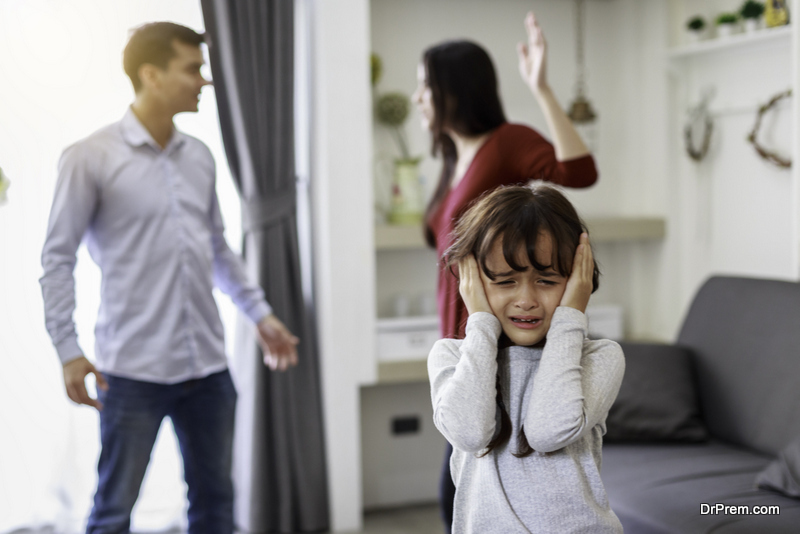 A lot of parents don’t knowhow to deal with an angry child after divorce.The only practical solution is to give them time to come to terms with the situation. Mood swings are seen happening more frequently in kids who wished against their parents’ divorce and is not so common in teen kids and adult children. Some children tend to have negative thoughts and get centered on negative vibes. Due to this, they face severe problems like disturbing nightmares and, in severe cases, hallucinations. The children with divorced parents are more likely to repeat undesirable scenarios in their minds again and again. Eventually, this may lead to depression. The underlying factor in such children is underestimating their own selves and believing that they deserve nothing good. Suicide attempts in such kids are not very uncommon. If nothing else, they might get disillusioned. One needs to learn how to deal with an angry child after divorce,or even a sad or stressed one for that matter. The reason behind these emotions is the lack of love, care,and affection which they were habitual to. These situations worsen if the kid stays with one parent and is not allowed to meet the other one. The effect of divorce is also seen on the education of the child. Children with divorced parents show an unexpected drop in their grades. Divorce and its effect on children, its stress, and plenty of other factors combined,pullaway their concentration from studies. So much so that, if not given help at the right time, this may take a toll on their career too. Teenage boys and girls with divorced parents have a tendency to consume drugs and alcohol. Their anxiety and stress reach great heights which they no longer can handle. 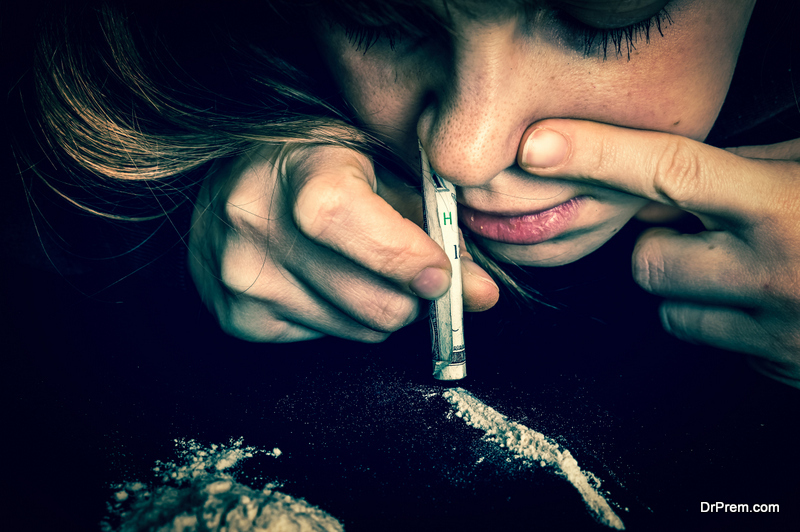 Before they know it, they get addicted to this alcohol and drugs. These things, when taken for a long time, can lead to illnesses and affect the well-being of the child. This issue can be addressed by separated parents raising a childif they decide to play their individual part in raising them in a proper manner. Divorce not only affects the mental and emotional health, but also the physical health of the children concerned. True that couples who are not compatible with each other need to split up as soon as possible and that separated parents raising a childis not a cakewalk. Having said that, the effect of divorce on their kids cannot be overlooked. Parents need to take a mutual decision with regards to their kids, so that their children don’t remain deprived of their parents’ love even if they aren’t a couple anymore. This is one of the most important and practical parenting tips to help your child during a divorce.